Shout out to NBC for finally taking a stand. In a statement released by the network on Friday, NBC President Robert Greenblatt said the network would no longer work with Bill Cosby. According to E! News, when Greenblatt was asked if it was safe to say the NBC wouldn't work with Cosby in the future, he replied, "I think it's safe to say." The statement comes only a day after Cosby announced that his North American tour would continue, saying in a message to his fans that he appreciated their loyalty and support and that he was "far from finished." Luckily, he's finished on NBC. Fifteen women came out and accused [Bill Cosby] of having done what they accused him of doing. While over the years, we'd heard some of those accusations and we knew there were a couple of settlements and what not... it didn't seem to be the sort of thing that was critical mass. When we realized that there seemed to be so much more of it, it wasn't something that we could just go, "Oh, we're not sure." He hasn't been proven guilty of anything, so I don't want to be the one that says guilty until proven innocent, but when that many people come out and have similar complaints and it becomes such a tainted situation, there was no way that we could move forward with it. While Greenblatt's decision is admirable, it's also necessary. 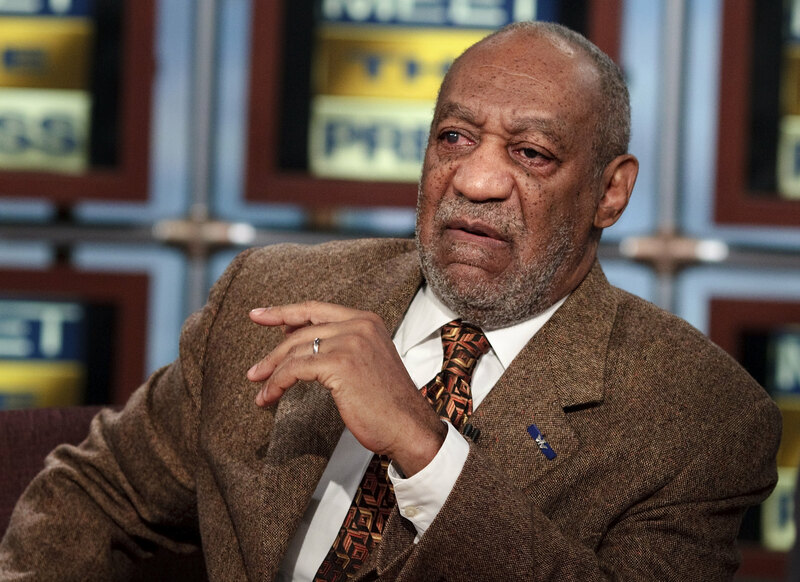 Networks and venues SHOULD take a moral stance on Cosby. Their endorsement or proclaimed neutrality — the "we don't really know" defense — is essentially a slap in the face to the victims and the women who have spoken out against Cosby about their painful experiences with abuse. It's in sharp contrast to the move from Chuck Norris the president at AEG Entertainment, the group in charge of Cosby's tour, who said in a statement on Thursday that with "an artist that has not been charged or convicted — I don’t think I can play judge and jury." Good for NBC for throwing that lame excuse out the window. Why should men who have been accused by countless women be excused because they are important figures? This question comes up time and time again, and right now also applies to Woody Allen getting a show on Amazon. It's a jarring move from a generally progressive site (it's home to Transparent, a comedy about a transgender woman which just won Best Comedy at the Golden Globes) that brings up again the ignorance of Dylan Farrow's allegations against Allen, who has repeatedly denied the abuse. Greenblatt and NBC, then, will hopefully set an example for other networks, entertainment groups, and venues that were supposed to host Cosby. Though the comedian said that he would continue to tour, ultimately he is not the only one in charge of that decision. Anyone who chooses to host Cosby is making a statement, intentionally or otherwise, that they either believe he is innocent or that the claims made against him are easy enough to ignore for profit.